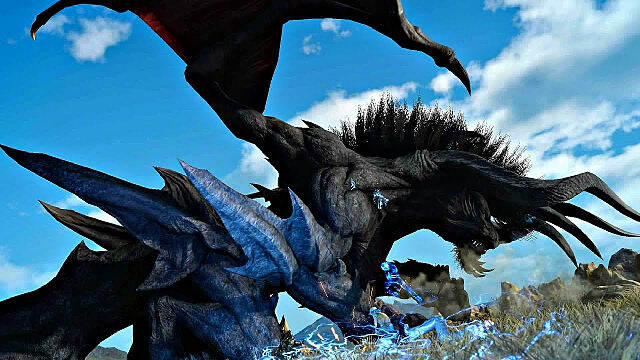 In Final Fantasy XV, one of the most epic fights you'll encounter is against Deadeye the Behemoth. 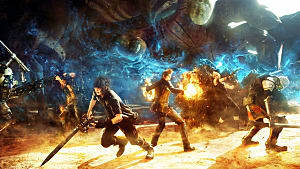 This is an excellent set piece when Gladiolus leads the group in tracking the monster to its lair before using fire magic and oil drums to finish him off. 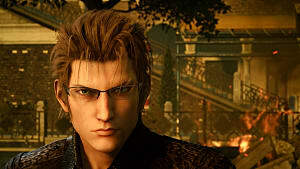 Winning this quest grants you the opportunity to ride chocobos throughout the kingdom of Lucis, which seems to make Prompto in particular very happy! It also prepares you for the stealth story missions later on in the game. After you complete the main story, a number of post-game dungeons and timed quests are available to you. But a new timed quest in FFXV, which pits you against the Dread Behemoth, has fans stumped. 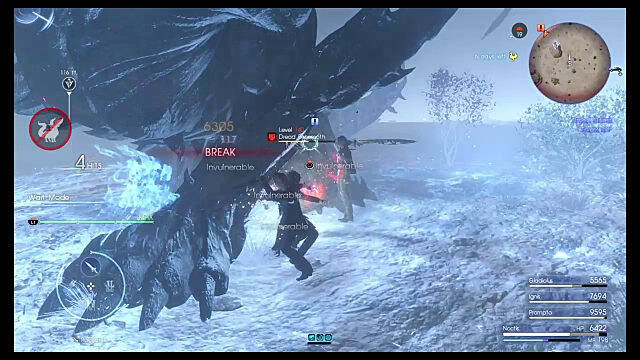 Unlike the regular Behemoths and the Kaiser Behemoth in the new Episode Prompto DLC, the Dread Behemoth doesn’t seem to be weak to fire or regular magic such as Freeze. So how do you beat it? In this short guide, we will run through how to unlock this quest, possible weaknesses for the Dread Behemoth identified in various playthroughs, plus some strategies and good character skills that will help you defeat this extraordinary monster. Load your last save. 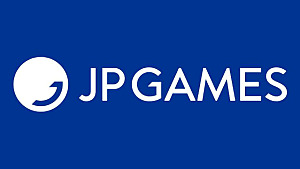 The background will be a different color to your previous ones, indicating that you finished the game. Go to your nearest rest point. Select the option “Talk to Umbra” or “Call Umbra”. 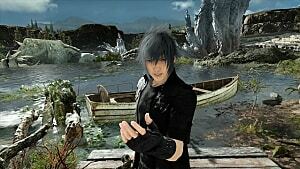 You will be sent back to Cape Caem where you boarded the boat to Altissia. Drive from Altissia to Longwythe Peak. Make sure you camp at Longwythe Peak to get a stat-boosting meal before battle. 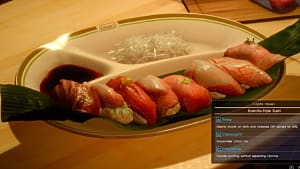 Alternatively, you can eat lasagna at Maagho’s in Altissia if you use Umbra to travel to past Altissia. You should then speak to Umbra to return to past Lucis. Either of these recipes will boost your HP by 4,000 and block elemental magic attacks -- which will be useful, as the Dread Behemoth’s favorite trick is to cast Blizzard. Now that your characters are prepared for battle, let's talk about some of the weaknesses and vulnerabilities that players have discovered in their experience with this monster. Generally speaking though, the Dread Behemoth is invulnerable to nearly everything -- so be prepared to lose a lot of HP. Unlike the regular Behemoths (and contrary to some early reports on this particular one), you should NOT used Fire or Flare on the Dread Behemoth. He will either absorb the attack, or it will actually heal him. However, you can use Expericast to stop the Dread Behemoth from casting its deadly Blizzard attack. If you see any indication that the monster is about to cast Blizzard, cast Thunder in conjunction with Expericast. This will interrupt its cast and cause elemental damage. Note: To create Thunder Expericast magic, mix Thunder with a Rare Coin, a Debased Coin, or a Cockatrice Crest. If you concentrate on the Dread Behemoth’s upper body or neck when you attack it, you can trigger a Blindside attack which does more damage. This isn't an outright weakness, but it is a way to get considerable amounts of damage in when you have the window of opportunity to do so. You should be at least Level 110 before you attempt to face this beast. Because there aren't a lot of potential weaknesses to go on, you need to make sure you have the right equipment and skills to win this fight. If you do, it’s just a test of endurance. This is our recommended strategy. 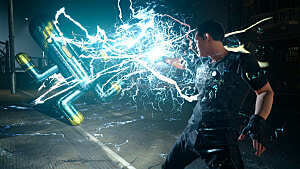 For Noctis, any Royal Arms are a good idea to take into battle, as they increase certain attributes. I had the Sword of the Father as my greatsword, the Axe of the Conqueror, and Trident of the Oracle. Like I mentioned above, Expericast (with Thunder) should be in one of your four weapon slots. Crossblades could also be equipped if you decide not to use magic (although Warp Strikes with a light sword such as the Airstep Sword can be just as effective). 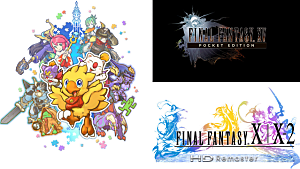 For your whole party, make sure everyone has a Moogle Charm. This will increase the EXP earned from such a tough fight. You should also stock up on Mega Phoenix, Muscle Stimulants, Phoenix Down, Hi-Potions, Elixirs and Ethers (to top up your MP when casting Thunder Expericast). 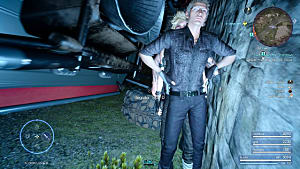 Because your chocobros will likely die quickly, this skill is a good idea to have, as Noctis will be protected by Gladdy's shield for a short while. This has a small chance of triggering a Blindside bonus that will let you deal some essential extra damage. This is going to be a long fight, so bunker down and make sure you evade as many attacks as possible. 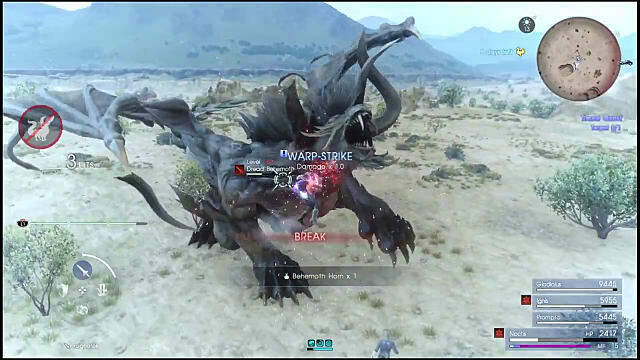 Other than that, here are some strategies you can use to get Noctis and his friends through their encounter with the Dread Behemoth. Warp Strike the neck and upper body. Keep taking Muscle Stimulants to make you temporarily immune to attacks as you walk around the monster, trying to aim for its weak spots. Do not attack the head. When your surroundings become frozen, the Dread Behemoth is casting Blizzard. Use Thunder to stop it in its tracks. Use Limit Breaks like Overwhelm and Prompto’s Piercer to weaken its defense. 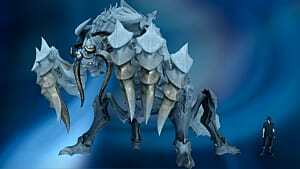 Attack its tail when you are behind the behemoth. This is weak -- but it can knock you out with one hit, so be careful! Try to break the behemoth’s horn for a chance of getting a rare item. 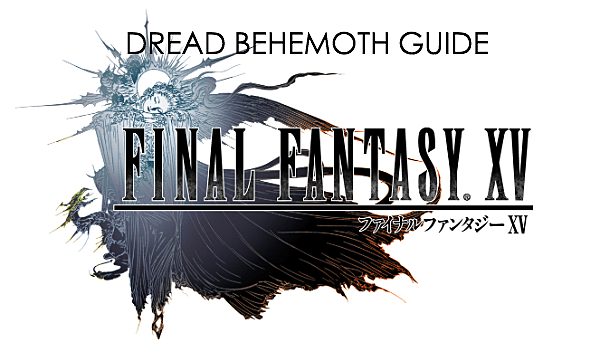 Hopefully this guide has given you some helpful insight into how you can defeat the Dread Behemoth. As with many fights, patience and a stockpile of restorative items are the keys to success. This fight is much tougher than the Adamantoise, and unfortunately doesn't win you a trophy. But at least you have the bragging rights!